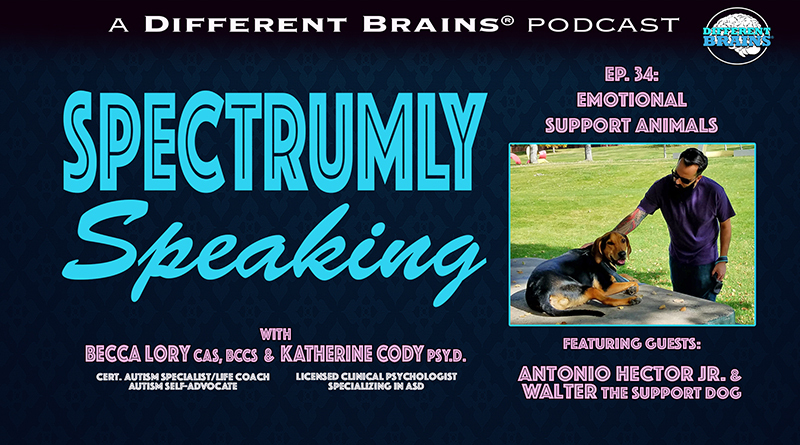 (32 mins) In this episode, hosts Katherine Cody, Psy.D. 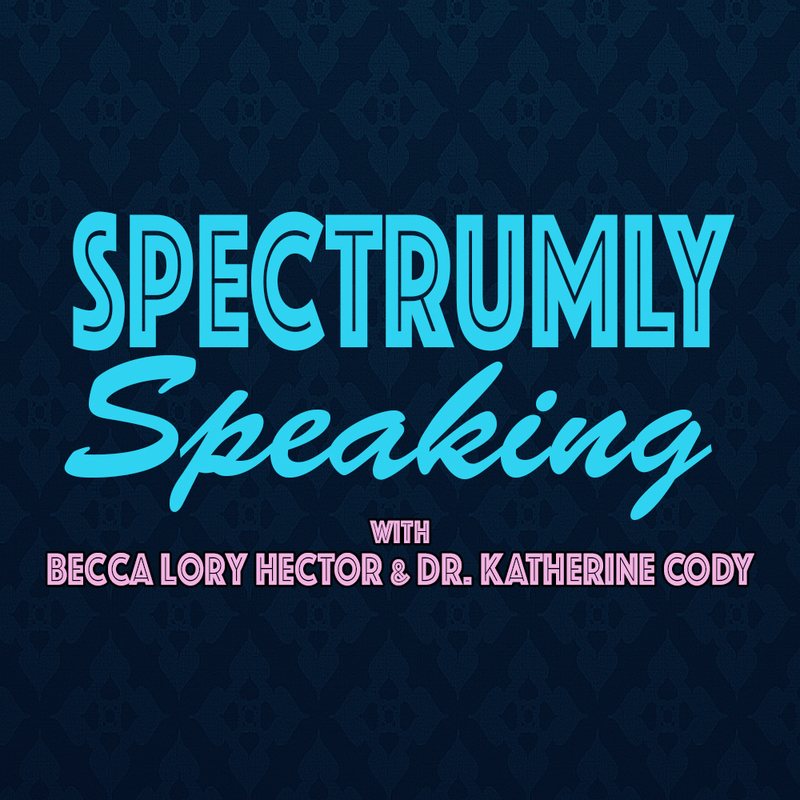 and Becca Lory, CAS, BCCS discuss the new book “Spectrum Women: Walking to the Beat of Autism”, and are joined by the book’s editor, Barb Cook, and two contributors, Renata Jurkevythz and Maura Campbell. Becca (who also contributed as a writer to the book), Kate, Barb, Maura, and Renata discuss the genesis of the project, their approaches to contributing, and what they want people to get out of the book. 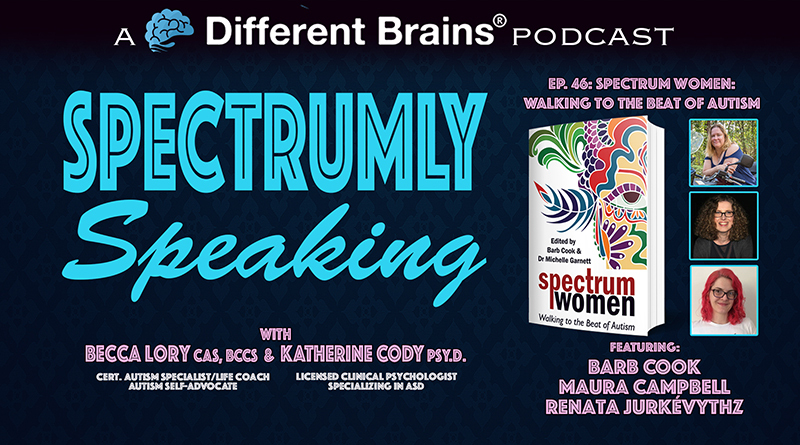 “Spectrum Women: Walking to the Beat of Autism” is out August 21st, 2018 from Jessica Kingsley Publishers. To pre-order or find out more information, visit: Jessica Kingsley Publisher’s website or Amazon. 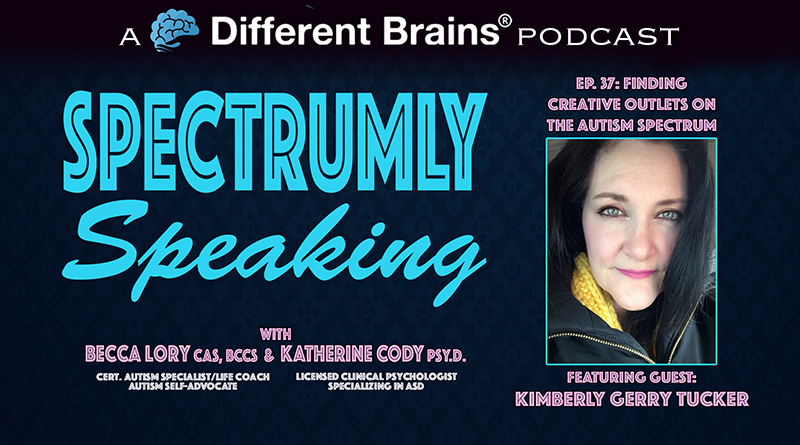 Barb Cook: Formally identified on the autism spectrum in 2009 at the age of 40, Barb is editor and author of Spectrum Women: Walking to the Beat of Autism, and founder and editor in chief of Spectrum Women Magazine. Barb is a highly committed autism advocate, writer, speaker and keen motorcyclist, making a variety of appearances on Australian radio, television, in newspapers and magazines and the SBS television documentary, The Chameleons: Women with Autism. She is co-founder of Bikers for Autism Australia, Community Council Member of AASET (Autistic Adults and other Stakeholders Engaged Together) and an independent autistic peer reviewer of the journal Autism in Adulthood. Barb currently rides a Suzuki V-Strom DL1000 called Ron ‘Strom’ Burgundy and implements a combination of her passion for motorcycling with her dedication in autism advocacy, creating acceptance and pushing for action to improve the lives for women and girls on the autism spectrum. Recently Barb was recently awarded a Special Commendation in the 2017 Autism Queensland Creative Futures Awards by the Queensland Governor, his Excellency Paul De Jersey and will be speaking at the World Autism Organization Congress 2018 in Houston Texas later this year. Barb is also currently studying a Master of Autism at the University of Wollongong (Australia). Renata Jurkevythz: Renata is one of Spectrum Women Magazine’s featured writers. She also contributed to the book “Spectrum Women: Walking to the Beat of Autism“. She is an autistic woman and mother of three children, two also being on the Spectrum in different levels. Renata writes from her personal perspective, also influenced by her daily experiences with her kids. She has a degree in International Trade but currently focus all her energy on raising her kids and on her writing. She is Brazilian and moved permanently to Germany in 2016. Maura Campbell: Maura is part of the Spectrum Women writers team and has written on autism and learning disability for a range of publications. She performed at a BBC storytelling event as part of the 2017 Edinburgh Fringe Festival and was featured on Four Thought on BBC Radio 4. Maura lives in the Northern Ireland countryside with her husband Stephen, her son Darragh, Ash the assistance dog and Baz the cat. She was diagnosed with Asperger Syndrome in 2011, the year after her son’s autism diagnosis. For Barb’s articles, click here. For Renata’s articles, click here. For Maura’s articles, click here. The image of Maura Campbell in this episode’s thumbnail is courtesy the BBC. 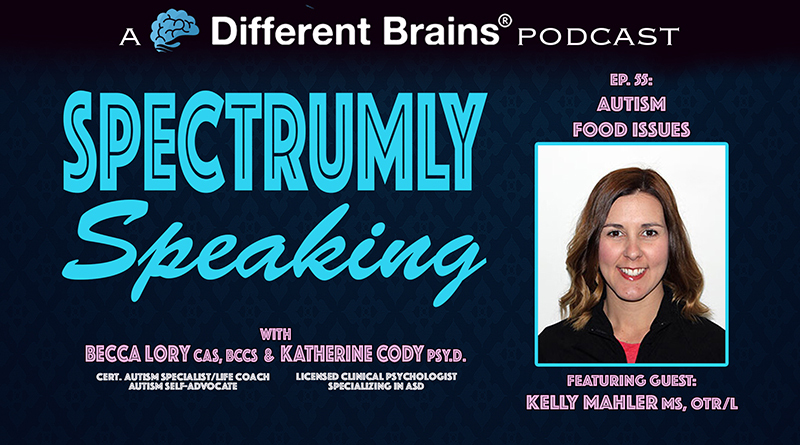 In this episode, hosts Katherine Cody, Psy.D. and Becca Lory, CAS, BCCS discuss the use of emotional support animals for people on the autism spectrum.